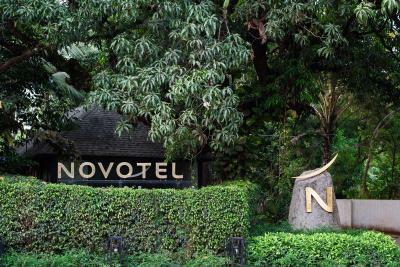 Lock in a great price for Novotel Goa Resort & Spa - rated 8.1 by recent guests. 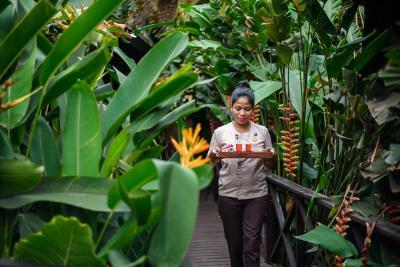 The Guest Experience Manager Miss Yojana did a great job. We were moved from your "Resort and Spa" branch to the Shrem branch as one of the guest couldn't check out in time due to ill health and hence our duplex suite wasn't ready at "Resort and Spa" property. We were definitely disappointed due to the fact that we had to shift but then Miss Yojana made our stay a bit better by taking care of some arrangements to make up for the disappointment. Hopefully, next time we will be given the property that we book rather than being shifted to a different branch of your hotel. The staff were fantastic, very helpful. Worked really hard to please and kept facilities clean. The poolside is perfectly relaxed, and the kids enjoyed the pool. 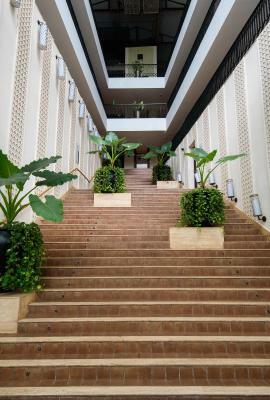 Excellent room and service, centrally located, courteous and polite hotel staff with a right amount of professionalism. No restrictions on self driven cabs, taxis or any other mode of transport. Everything! From Pranay at Reception, the Guest hostesses and Vishnu, Ashok in Housekeeping, Laxmi in the Restaurant and Shankar at the Pool and the staff at the Sunken Bar! 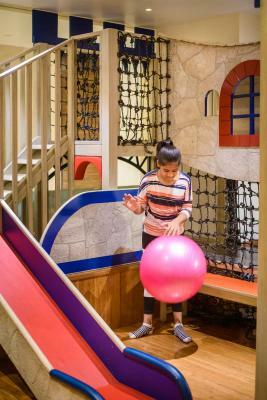 The surroundings were stunning, the atmosphere calm and relaxing and the staff were courteous and friendly. Everyone took pride in their work and the property. I appreciated the shuttle service and drivers to and from the beach, and the care Reception took to ensure that I had safe taxis. Meals were a treat; the breakfast menus were varied and scrumptious. Freshly prepared snacks were delicious. My room was spotless and beautiful. 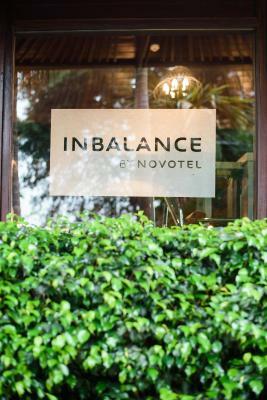 I wanted for nothing and will definitely return to Novotel Goa Health and Spa Resort. Nice quiet location close to the main Candolim area. 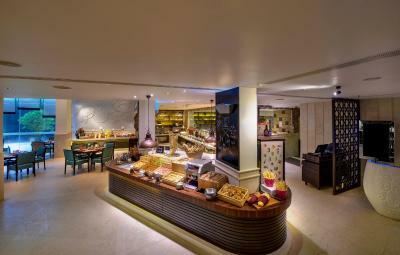 Staff were very good , breakfast good, however would ofenjoyed some different fruits instead of the same 2 or 3 at Breakfast. 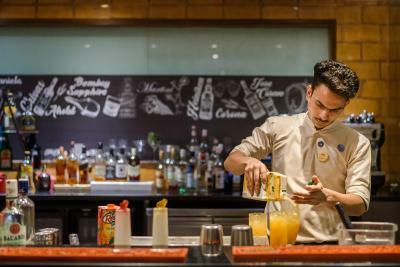 One of our top picks in Candolim.Nestled amidst lush paddy plantations and hills, the Bali inspired 5 star Novotel Goa Resort & Spa offers an outdoor swimming pool with a sunken bar. It is just a 4 minutes’ drive from popular Candolim, Baga & Calangute Beaches and is graced with a view of the Candolim Hillocks from the pool side and restaurant. The resort also offers shuttle service to Candolim beach, which is only a 4-minute drive away. 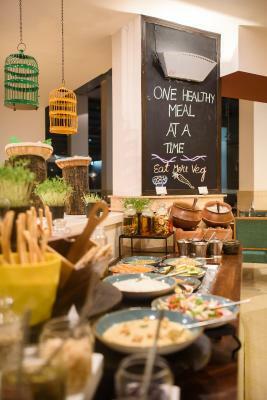 Guests can also use the facilities of the nearby Novotel Goa Shrem Hotel. Free WiFi is available. The rooms feature signature Novotel beds, 42 inch flat screen television, Fairtrade range of free bathroom amenities and private balconies. 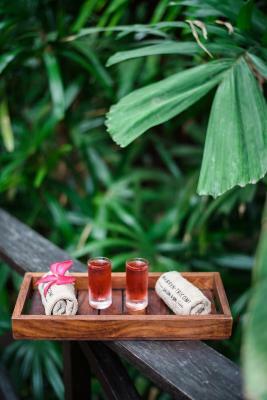 Guest booking tranquillity rooms and suites also get access of the Asian inspired gorgeous Banyan lounge off the lobby overlooking a 40 year old banyan tree. The resort is situated amidst popular bars and restaurants such as Cohiba and Infantaria located within 2.2 miles of the property. Cavala and the Saturday night market are within 3.5 miles. 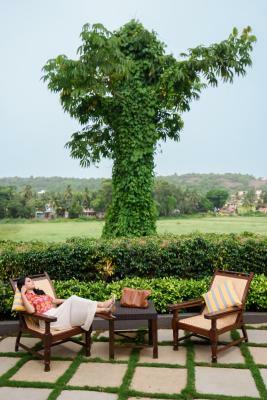 This resort is only 45 minutes drive from Goa International Airport and the Madgaon Railway Station. 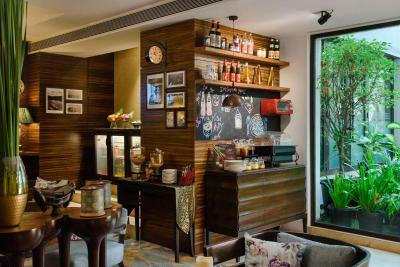 The property features 2 bars, 2 restaurants and 24 hours in-room dining. 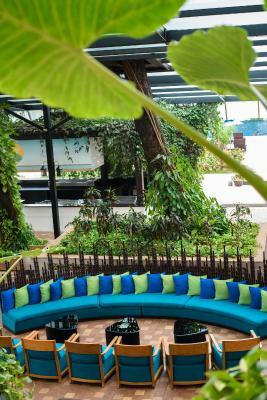 Hang out with friends at the energetic Chy lobby bar with menu with local favourites or swim up to the Sunken bar for cocktails amidst the paddy fields. 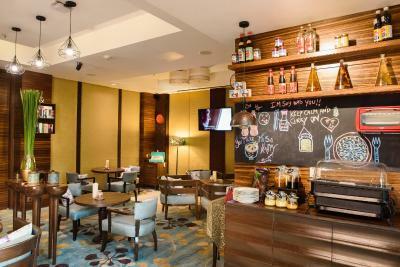 Vero Cibo is the signature Mediterranean seafood restaurant while Food Exchange offers interactive live cooking stations. 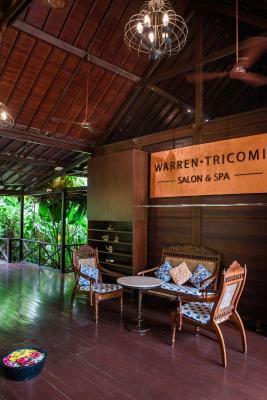 At Novotel Goa Resort & Spa you will find the Warren Tricomi spa set in a traditional Bali wooden structure surrounded by the tropical mini forest features Balinese, Swedish, Hawaiian lomilomi and Ayurveda therapy and a Salon with Goa’s only Turkish Hammam. 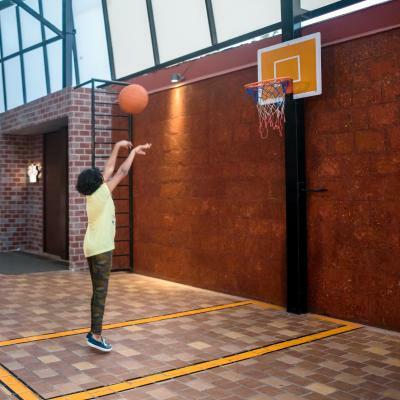 Guests can enjoy free drinks on arrival, hydrating tropical water all day, free yoga sessions, access to Goa's only supervised kids club ‘Happy Place where kids can enjoy fun activities and avail of daycare services. 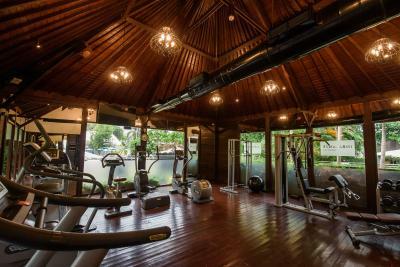 The property offers access to the sports zone, fitness centre, bicycle rental and concierge services. 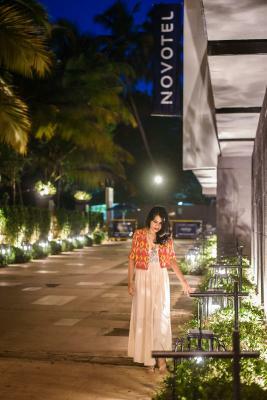 Novotel Goa Resort & Spa has been welcoming Booking.com guests since 2 Jul 2014. 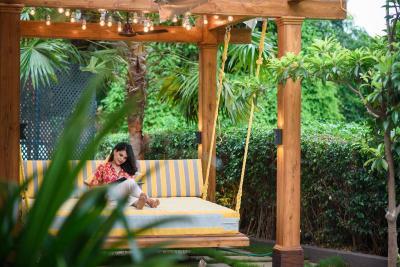 When would you like to stay at Novotel Goa Resort & Spa? The air-conditioned room will provide you with a flat-screen LCD TV and I- Home dock station. There is also an electric kettle,a safe and Tea/Coffee maker is provided. The room features a private bathroom with a bath/shower and also comes with Novotel amenities & essentials and a hairdryer. The room offers a balcony with sit-out and a luxury sofa. This air-conditioned room features a flat-screen LCD TV and seating area. There is also an electric kettle, a tea/ coffee maker, microwave. Featuring a shower, the private bathroom also comes with Novotel toiletries and a hairdryer. It has a private balcony. The air-conditioned double room will provide you with a balcony, flat-screen LCD TV and I-Home dock station. There is also an electric kettle, a safe and a tea/coffee maker is provided. The room features a private bathroom with a bath/shower and also comes with a hairdryer. 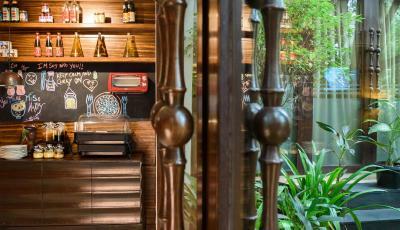 Guests can acquire access of the Asian inspired Banyan lounge off the lobby overlooking a 40 year old banyan tree. This twin room features a balcony, sofa and iPod dock. This suite has air conditioning, flat screen TV and iPod dock. 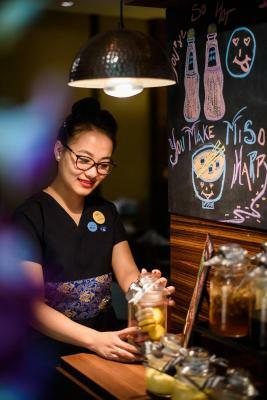 - Exclusive access to the Banyan Lounge from 12:00 hrs - 21:00 hrs for teas, freshly brewed coffee, light bites and fresh fruit. This triple room features a balcony, bathrobe and sofa. 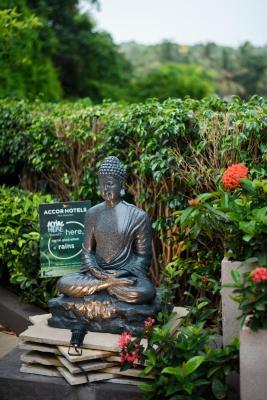 House rules Novotel Goa Resort & Spa takes special requests - add in the next step! Novotel Goa Resort &amp; Spa accepts these cards and reserves the right to temporarily hold an amount prior to arrival. Novotel Goa Resort & Spa accepts these cards and reserves the right to temporarily hold an amount prior to arrival. Please note that the hotel will charge the credit card with a pre-authorization amount of INR 1. This amount will be refunded to the guest. Reservations with an invalid credit card or a credit card on which a pre-authorization charge fails shall be cancelled within 24 hours of completing a booking. Banyan Lounge access will be allowed for adults only i.e. 21 years and above. Third adult charges does not cover the Banyan Lounge access and will need to pay extra for the same (only for rooms with Banyan lounge access). Shrem branch needs to have a feet wash area outside of the reception like the resort and spa branch. This is very convenient for people when they return from the beach to the hotel. A bit of a foul smell like sewage when entering the hotel lobby. Needs to be looked at. The rooms are amazing, staff are extremely courteous and helpful, great facilities. lovely experience at novatel , facilities are great n so is location . staff is also very nice and very nicely managed. Location ok... Not great and highly costly property. Amenities, pool, bed... Front desk team, all were great. Very rude staff . I have been staying with Novotel hotels for a long time but my last visit made me think not to stay there again. They need to train their staff how to speak to thier customer. Will not stay there again. Frequent electricity failures were irritating. Staff was excellent. Food served was very good.